Ross S. Gelber, Esq. is a native of Western New York who graduated with a B.S.M from the A.B. Freeman School of Business at Tulane University. 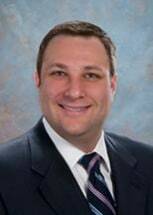 He graduated from Albany Law School at Union University with dual concentrations in Family and Elder Law and Estate Planning. Upon his graduation he immediately began to focus his practice on representing clients with all aspects of matrimonial and family law. In addition, Ross is an active member of the Attorney-for-Child Program where he is appointed by the Supreme and Family Courts to represent children in matters containing custody and visitation disputes.